Police have charged two people in connection with possession of drugs and handling stolen goods in Milton Keynes. Amjad Ahmed, also known as Hafeez Mohammed, aged 33 and Sajida Hussain, aged 34 of Rowditch Furlong, were both charged on Tuesday with one count of possession with intent to supply a controlled drug of class A.
Ahmed was also charged with a further possession of class A drugs and four counts of handling stolen goods. 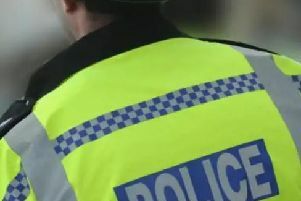 The charges are in connection with an incident on Tuesday where officers conducted a section 23 misuse of drugs warrant at an address in Rowditch Furlong. The charges of handling stolen goods are in connection with four incidents across October 2017 where stolen vehicles from burglaries were handled across Milton Keynes. Ahmed has been remanded to custody and Hussain has been released on bail. Both will appear at Aylesbury Crown Court on Monday April 16.